Balboa Park artwork near Santa Fe Depot. – Beautiful Balboa Park! Amazing culture and fun in the heart of San Diego. A green St. Patrick’s Day in Balboa Park! A beautiful garden untouched by winter. More photos of the Chinese New Year Festival! Early winter color in a Japanese garden. Walking through beauty in Palm Canyon. A few odd photos in late December. Downtown San Diego has been my home for many years. My online activities reflect my love for writing, blogging, walking and photography. Balboa Park artwork near Santa Fe Depot. 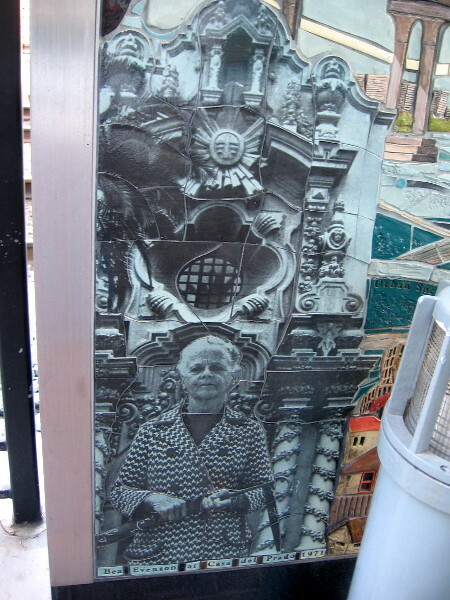 Tile mosaic artwork in downtown San Diego near the Santa Fe Depot depicts Balboa Park’s iconic California Building and Kate Sessions. The Santa Fe Depot in downtown San Diego was built to welcome visitors arriving by train for the 1915 Panama-California Exposition in Balboa Park. So it’s appropriate that public art near the historic depot contains several historical representations of Balboa Park. The tile artwork, titled The Tracks We Leave Behind, is a visual timeline of San Diego’s history. 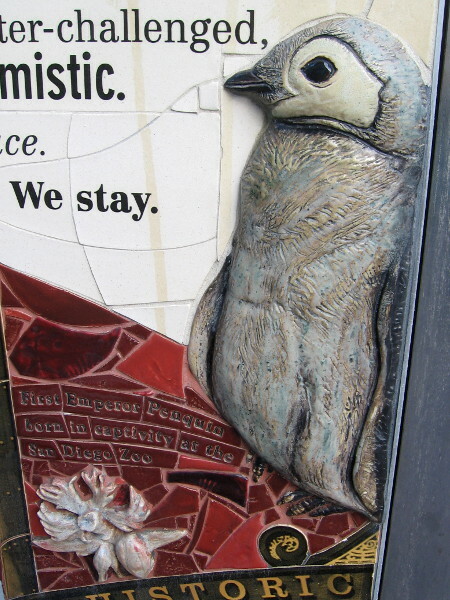 The beautiful mosaics were created by Betsy K. Schulz in 2008. 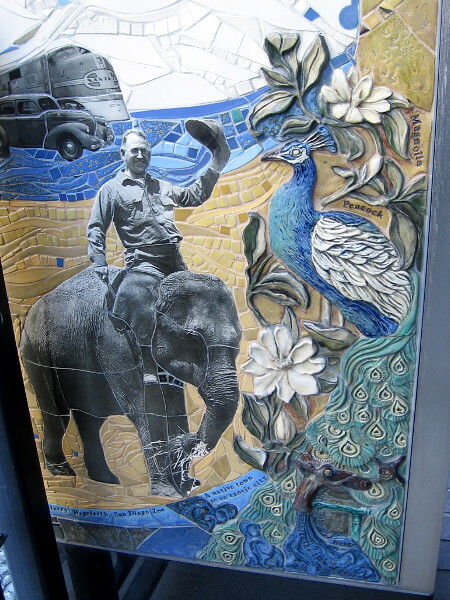 I’ve posted more photos of these amazing mosaics on my Cool San Diego Sights website here and here. Bea Evenson, founder of The Committee of 100, at Casa del Prado in 1971. First Emperor Penguin born in captivity at the San Diego Zoo. Harry Wegeforth, founder of the San Diego Zoo in Balboa Park, doffs his hat while riding an elephant. I live in downtown San Diego and love to walk! You can enjoy even more Cool San Diego Sights by following me on Facebook or Twitter! Previous Previous post: Poetic words deepen Balboa Park’s beauty. Next Next post: A colorful celebration of Hungary’s culture!